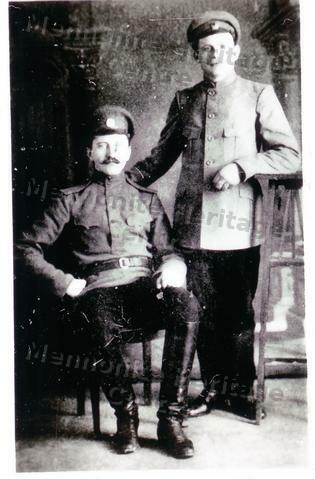 This photo show two Mennonite men who served as medic during World War I in Russia. It has the inscription "S. Wiebe + Mart. Unrau -- Sanitaeter -- 1917."